The Chrome Studded White Fabric Bed Frame is the perfect solution if you're looking to add a subtle bit of sparkle to your room. The boarder of polished chrome studs certainly adds a pleasing shine. 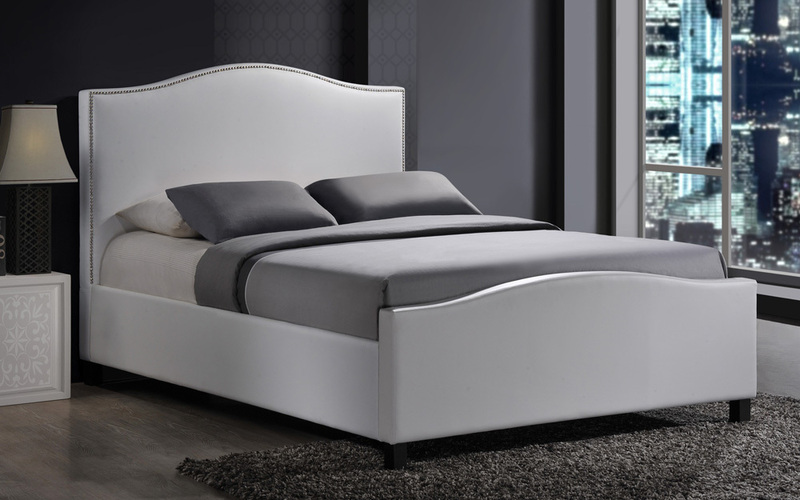 Available in Black or White colour, this bed frame will definitely add elegance and style to your room.